In this video, UK surgeon Mr Dai Davies offers his expert impartial advice on how to choose the best possible surgeon for your cosmetic or plastic surgery procedure, and he talks about some of the qualifications you should look out for and some of the things that you should be aware of. Remember that this is a life changing situation, one which you should not take lightly. 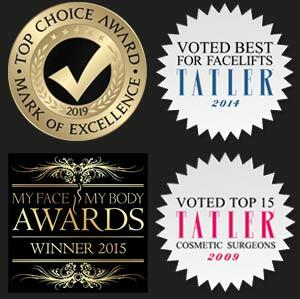 Learn from the professionals - what is a good way to recognise the signs of a good cosmetic surgery practice and how to choose the right surgeon for your particular surgical procedure. My name is Dai Davies and I’m part of Cosmetic Surgery Partners. One of the big decisions you’ll have to make if you decide you want to have cosmetic surgery is choosing the surgeon that you go and consult with. The best way is to get the name of a cosmetic surgeon from a friend that’s had cosmetic surgery like yours and is very happy with the way they were looked after. This may not always be possible and of course if you turn to the internet there are hundreds of clinics and surgeons out there advertising for your business. Where do you start looking for a surgeon? The first thing is not to be taken in by the glossiness of the presentation that you see. What you want is substance, not fluff. - Has he or she worked in the NHS? - Is he a plastic surgeon? 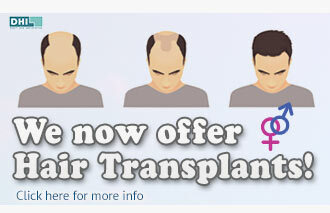 - Has he undergone specific training in plastic surgery? These are some clear things that you will want to get identified, as you may know the government at present is very concerned with the standard of some surgeons or people who claim that they are surgeons undertaking cosmetic surgery procedures. The law is about to change but at the moment you must check the background training of the surgeon. - Has this surgeon undergone recognised training in the United Kingdom? - Is he insured by a recognized insurance company in the United Kingdom? - Does he have a long history of successful treatments undertaken here in England? - Is he a member of BAAPS & BAPRAS? BAAPS - The British Association of Aesthetic Plastic Surgeons and BAPRAS – The British Association of Plastic and Reconstructive Surgery. These are two well-known registers of surgeons.Be wary of surgeons who are not members of these associations, the only exception would be an ENT (Ear, Nose and Throat surgeon) undertaking nasal surgery, not facelifts or a breast surgeon undertaking breast augmentation and reduction. Why not make an appointment for a consultation today? You can also request a callback or a brochure by clicking the "fill in the form" link below.